A missionary born c558 on the isle of Inisbrefny, county Cavan, Ireland. 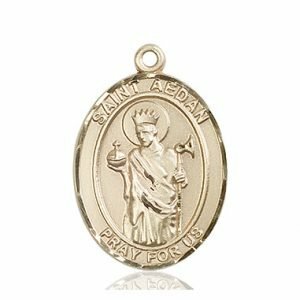 As a child, St Aedan (St Aidan, St Maedoc of Ferns) was held hostage by the High King of Ireland to ensure his family’s loyalty. Once released, he studied under St. David at Kilomine, Wales. 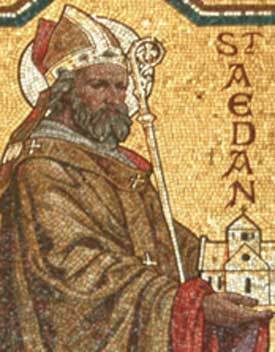 He returned to Ireland c580 with his own disciples and founded a monastery at Ferns, county Wexford. 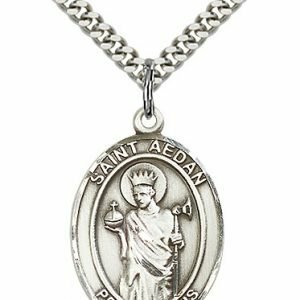 Noted for his benevolence and hospitality, St Aedan, then known by the name of Mogue, became Chief Bishop. He continued on with his missionaries and founded thirty churches and numerous monasteries. Many are still in use today. He died of natural causes on January 31 (his patronal feast day) c 632 and is buried under the cathedral in Ferns. 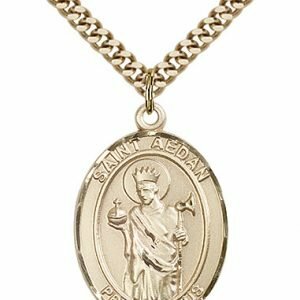 Special services are held each year to remember St Aedan and his contributions to the church and the Diocese.